Approx 20" long including pendant, pendant 2" x 1"
The dragon is the imperial emblem of the Emperors from the Han period . The dragon, a supernatural creature, is the symbol of power, strength, wisdom and goodness and represents the utmost in attainment: good luck and success in life. 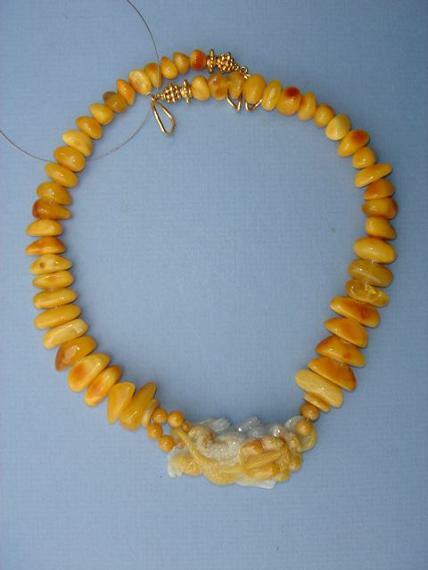 Amber is the prehistoric fossilized resin of ancient pines. It has been worn since the Stone Age as jewelry. It is symbolic of marriage, considered good luck and often given as a wedding gift.